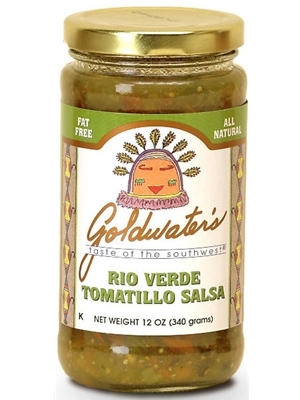 Goldwater's Rio Verde Tomatillo Salsa 12 oz. We love this salsa. It is not too hot but has a bit of a kick to it. All the vegees in it add a delicious flavor.